I have not been a very good blogger lately! Life sure happens quickly! Let's just move on, shall we?? Does you classroom ever look like this?? This picture was taken after Daily 5 one day. Seriously, what were they thinking?? Look at the one out there in the middle of the room. Really?? We have all been assigned our classroom jobs now, and two little pumpkins are in charge of this area. Whew! Thank goodness! 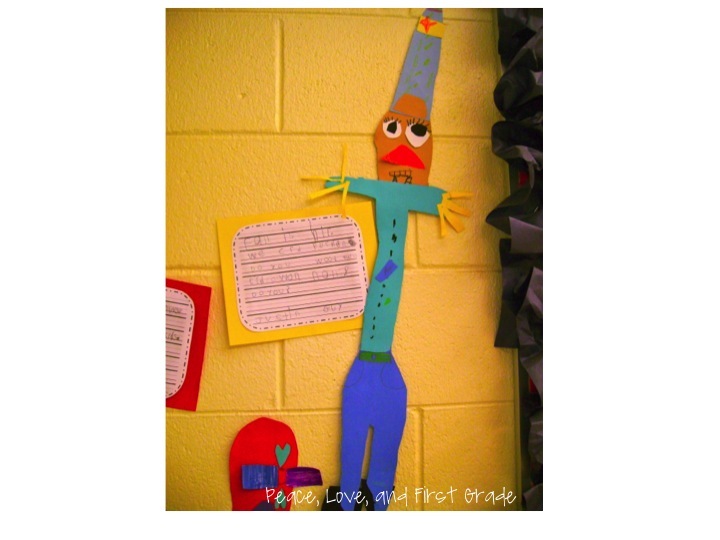 We are all about scarecrows in first grade right now. Together, we labeled this little guy. 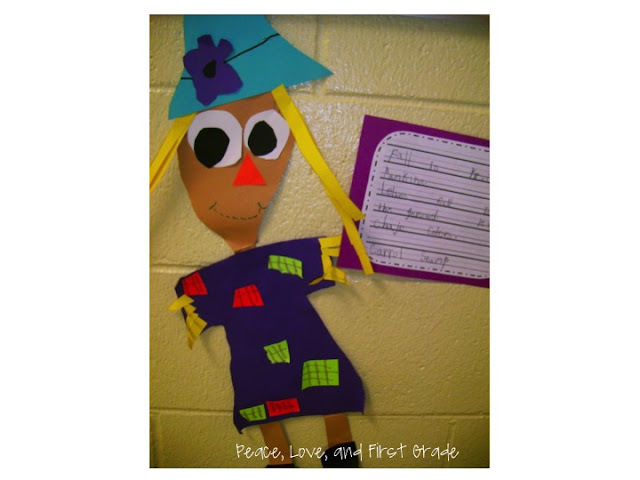 Then we created our own scarecrows and wrote about fall. 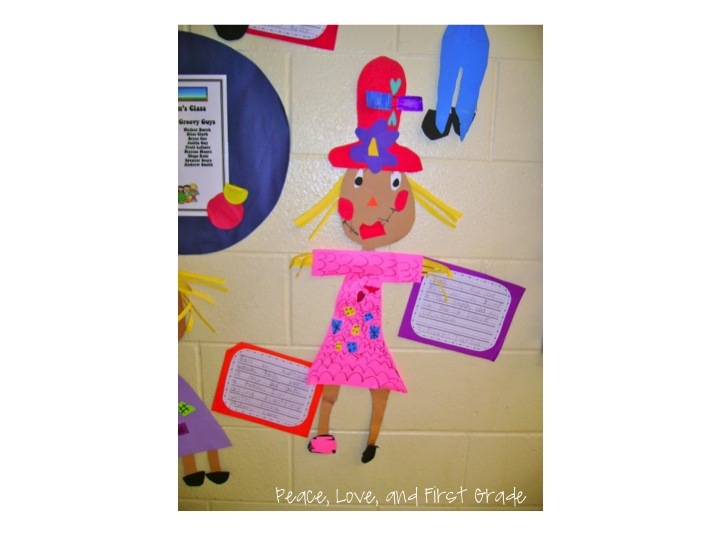 I love it when the kiddos have no patterns and just create. 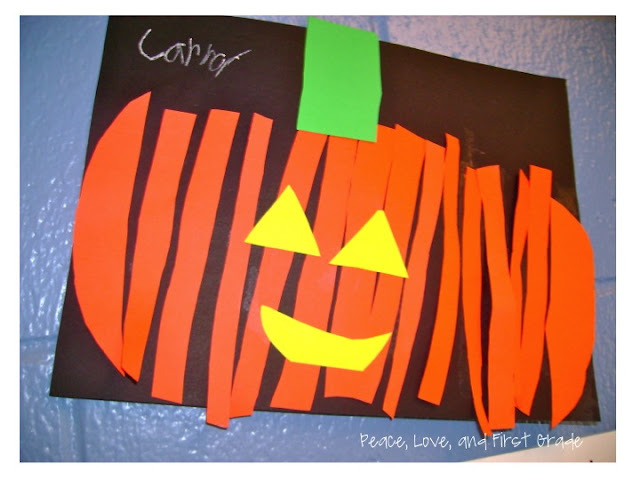 This smiling friend was made by tracing and cutting a pumpkin pattern, then cutting the pumpkin into strips and gluing onto paper. We added the face and stem last. So cute! There's something about fall and kiddo's art work that makes me smile! 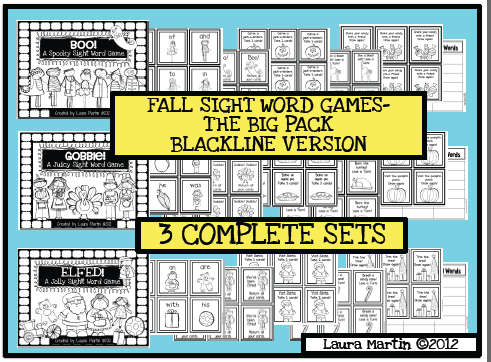 Just uploaded: My Fall Sight Word Pack in blackline. Click the cover to take you there. It includes BOO! A Spooky Sight Word Game, GOBBLE! 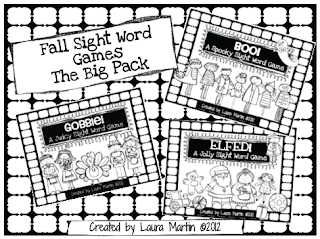 A Juicy Sight Word Game, and ELFED! 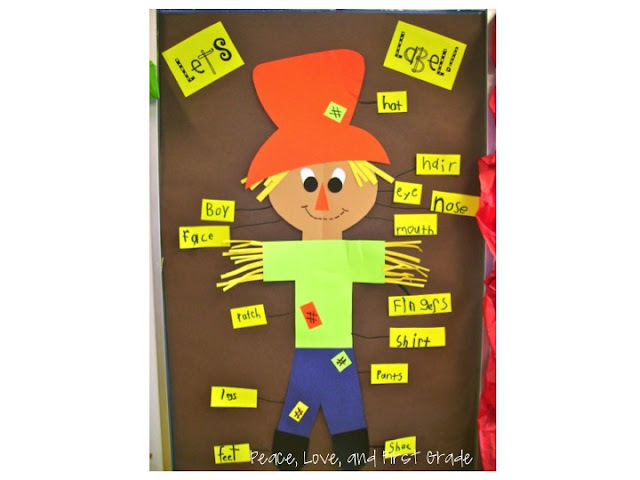 A Jolly Sight Word Game. 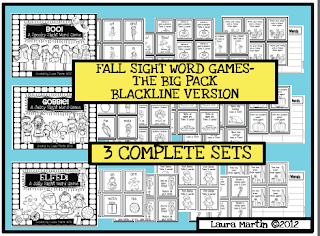 All 3 come with recording sheets for Musical Words.